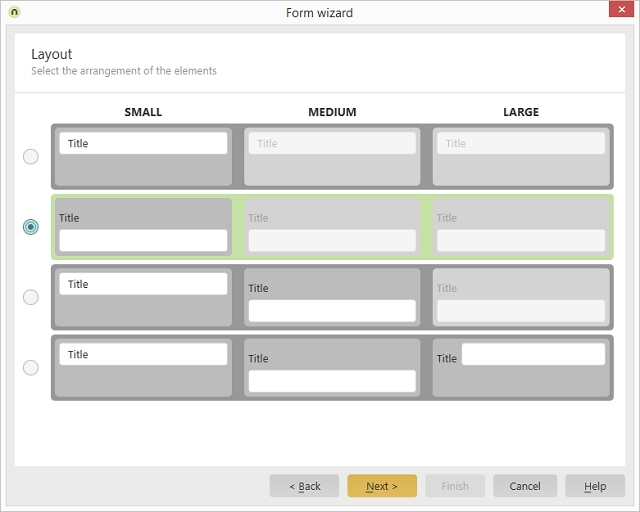 Using the Form wizard, style classes are written to the surrounding grouping, these affect the arrangement of the elements and the corresponding titles in the grouping. To the right of each of the four options in the dialog, you will see a preview of the option. In all display sizes ("SMALL", "MEDIUM", "LARGE"), the titles will be hidden and - provided they are available - placeholders will be shown. 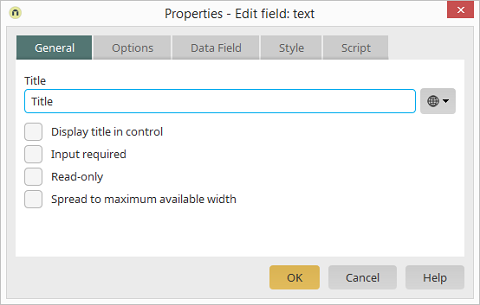 The "Display title in control" setting, which can be accessed in the Properties of edit elements, is automatically activated by the form wizard. 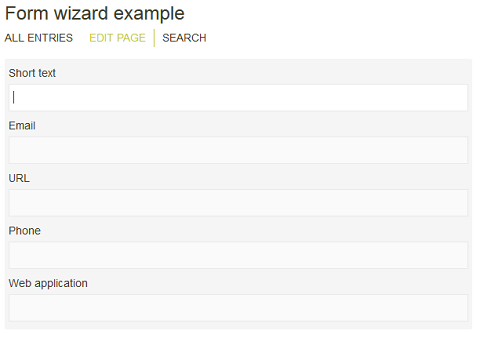 On view pages, placeholders will not be shown in the view elements. Instead, the title will, where appropriate, actually be hidden. Additional combinations can also be created by manually entering style classes. 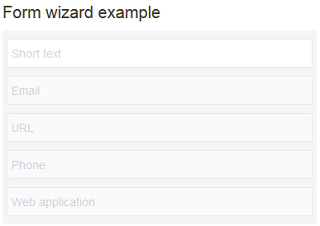 The following style classes are defined for edit and/or view elements within a grouping generated by the form wizard. The style class "Container_ResponsiveForm", the starting class for the groupings, must be present so that "ix-ViewPort-label-Position" classes take effect. Here, the styles are inherited from the smaller to the larger display size, meaning from SMALL to MEDIUM and from MEDIUM to LARGE. For example, to depict Option 1, the form wizard writes the class "ix-small-label-inline" to the "Container_Responsive" grouping. For Option 3, "ix-medium-label-top" is additionally written to overwrite the settings for the medium and large display sizes. It's also conceivable, to, for example, create a grouping using the class "Container_ResponsiveGroup ix-small-label-left", where titles and edit elements are always shown next to each other on small displays. The last selected layout option for the respective type (e.g. DIV layout for an edit page) is saved in the file "manager.properties".